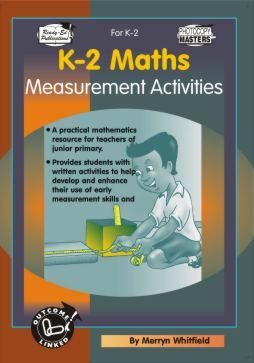 K-2 Number Activities provides students with written activities to help develop and enhance their use of early mathematical skills and strategies, including: forward and backward number sequencing; identifying numerals and matching them to groups of objects; finding differences; solving problems; comparing numbers; using doubles and familiar number combinations and grouping numbers to make patterns. 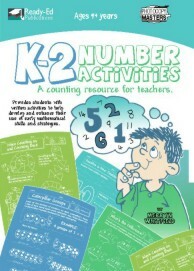 K-2 Number Activities is suitable for a range of student abilities, covering the broad subsections of mathematical learning: whole numbers; addition; subtraction; multiplication and place value. 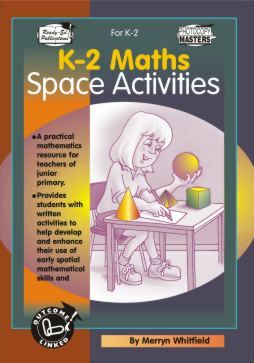 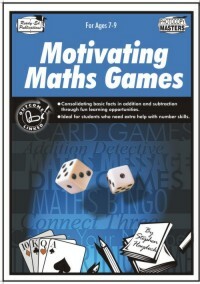 Some of these areas have graded activities to suit differing levels of student understanding and experiences, making this a valuable resource for composite classes or those classes with diverse profiles.